Call it a Pittsburgh-sized win for transparency. Pitt Senior Vice Chancellor for Engagement and Chief of Staff Kathy Humphrey, Allegheny County Executive Rich Fitzgerald and City of Pittsburgh Mayor Bill Peduto announced Thursday that the three heavyweights had opened the Western Pennsylvania Regional Data Center. The center will publish 50 city and county datasets online, including public information from Allegheny County and the City of Pittsburgh, some of which were previously only available through a Right-to-Know Law request. From the city, the center will publish datasets from the departments for Innovation and Performance, Public Works, Finance, Planning and the Pittsburgh Bureau of Police. Included in the city datasets is information on 311 customer service calls, a daily police blotter, publicly available properties, geographic information and data on city-owned assets and energy usage. Pitt’s University Center for Social and Urban Research will manage the Center. Included in the county datasets is information on inmate census, overdoses in Allegheny County, housing inspection reports and election results. Laura Meixell, the city’s data and analytics manager, said the city will add new data, such as building permits and building violations, to the site within the month. 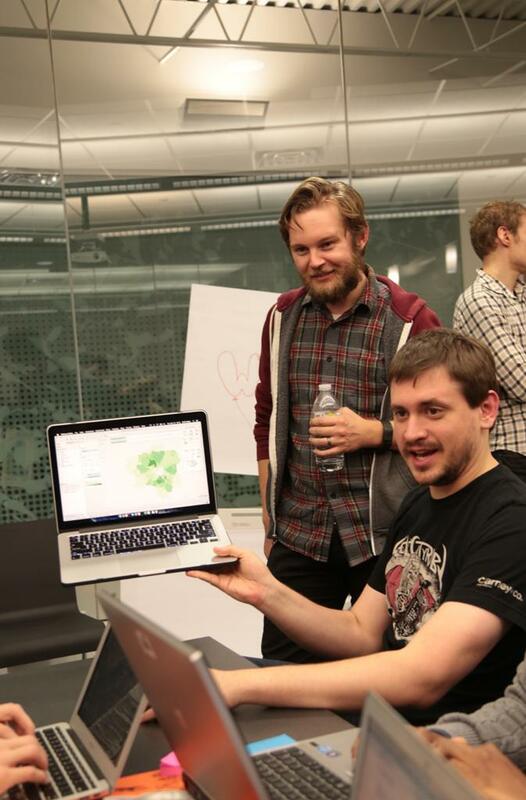 More than 20 community members, including Pitt professors and journalists, gathered at a “Hackathon” Thursday night from 5 to 7 p.m. at the Carnegie Library in East Liberty to experiment with the data. Meixell, who graduated from Pitt in 2008, said people can use the data to learn about their city and communities and build websites for community use. David Walker has already used the limited information that was available last year to create a website called PGH.ST. The website allows users to type in their addresses and find out when the garbage or recycling pickup will be on their street or block. Walker, who’s from Swissvale, got the idea for the site when he attended the Pittsburgh Code Fest last year. He worked with a team of five people to develop the prototype of the site in 24 hours. Since then, he and his colleague Quintin Lovicks have been building and updating the site’s map and making the interface more versatile. “Maybe in a year there will be 10 or 20 new sites for the City of Pittsburgh,” Walker said. Meixell said PGH.ST is the perfect example of what she calls “community as capital,” Pittsburgh citizens contributing to innovative ways of making the city more efficient for everyone. In the packed room Thursday night, people pinned papers to the walls, detailing their ideas for data sets ranging from “most popular dog names in Pittsburgh,” to “time spent in jail.” Groups of three to four people, with and without background in data analysis and computer programming, sat around each of the seven tables pointing at tables and numbers on their computer screens. Matt Lavin, a professor in Pitt’s English Department, and Alexandra Kanik, the web developer for the Pittsburgh news site, PublicSource, looked at data about how far people overdose from their homes. Lavin said this kind of information could humanize people who die from drug-related overdoses. “It’s numbers, but I’m hoping to create empathy,” Lavin said. Other existing programs that will improve because of the data include Pittsburgh’s 311 system for reporting non-emergency concerns and questions. CMU graduate student at Heinz College, Justin Cole, said he’s interested in making 311 data public so that citizens and businesses can use the information to learn about what’s happening in their immediate area. His idea for an application, which he calls “Citygrams” would allow residents to input their addresses and sign up for a weekly digest of all the 311 reports in their neighborhood. “[The open data] is a way of filtering the incredible amount of info from the city every day,” Cole said. Anthony Moore, a Pitt spokesperson, would not say whether or not the center will publish any datasets from Pitt. “Access to data can galvanize research, improve classroom experiences and support civic innovation. An open government means openings for civic engagement,” Pitt Chancellor Patrick Gallagher said in the release. Cole, who’s working on his masters in Public Policy, was so excited about the open source data that he created a club at CMU called Students for Urban Data Systems about two months ago. Seven of the club’s 100 members were at the Hackathon. The club is seeking community and city partners in Pittsburgh to put real world data to use.